Thank you for stepping forward and making the commitment to welcome new students and share your experiences! We appreciate your contributions to our continued efforts to build a strong, supportive community on campus. OCAD University acknowledges the ancestral and traditional territories of the Mississaugas of the Credit, the Haudenosaunee, the Anishinaabe and the Huron-Wendat, who are the original owners and custodians of the land on which we stand, work and create. 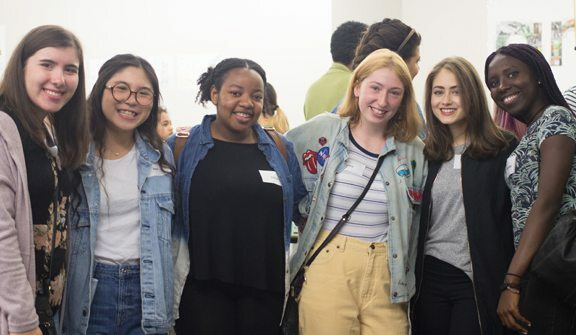 The Student Mentor Program at OCAD University continues to “live and grow” since 2005, with success made possible by the immeasurable excitement, enthusiasm and energy that students like YOU bring to the role of Peer Mentor. 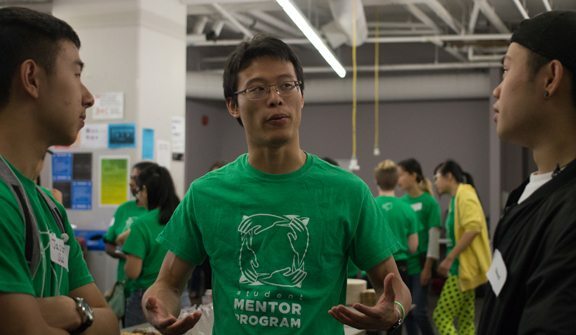 The Student Mentor Program at OCAD U assists new and first-year students with their transition into the OCAD University system. A Peer Mentor is a knowledgeable upper-year undergraduate student who assists first-year undergraduate students; encourages engagement, provides support, guidance and information regarding University procedures, services and extracurricular activities. Remember your time as a new student and share your experiences and knowledge. Be personable, encouraging and positive about what you’ve learned. Be one of many influences and when the opportunity arises, introduce Student Mentees to staff, faculty and other students. Don’t be afraid to challenge your Student Mentee. It’s not always about “just giving the answer”. Provide them with the tools, direction and encouragement to effectively and successfully find their own answers. Be an effective resource. You are not expected to have every answer. Make proper referrals to appropriate services and departments. You want them to be self-sufficient, and in a sense, as they become more self-sustaining, your Peer Mentor “services” will become “obsolete” to them. Demonstrate and use empathy. Put yourself in your Student Mentee’s shoes. Think beyond yourself and understand their experiences and emotions. Be sure to read more about empathy and developing skills to understand other people. Be sure to listen! Although you are initiating contact via email, engage Student Mentees in conversation and ask questions. Talk “to” them and not “at” them by personalizing your messaging to some degree (see ‘share your experiences’ below). What kind of help are they asking for? What are they looking to get out of their connection with you? A Student Mentee is a first-year undergraduate student who is looking for support and guidance: involvement with the campus community; networking and making new friends; knowledge regarding University procedures; advice about student services; and information about extracurricular activities. An active Student Mentee is ideal, taking a role in the support they are seeking from you. Engage them in dialogue and encourage response by getting them to talk about themselves and why they signed up as a Mentee. Think about what they’re hearing. Student Mentees will often take everything they hear as finished/complete truth, so be cautious. Advise them to listen, think and evaluate your answers and shared experiences to determine what is best for them. Be aware of the options and resources available. 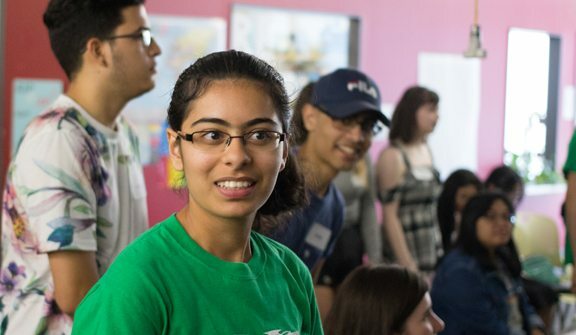 Student Mentees should be open to interactive communication and the exchange of ideas with Peer Mentors. They should remain open to multiple influences and opportunities. Take responsibility for their success, not only as a student, but for academic and social success. Student Mentees should work with Peer Mentors to seek new skills and capacities along with knowledge.